For sponsoring a Farm Bill amendment (the King Amendment) to take away states’ rights to regulate food and farming. For asking the FDA to finalize a 2001 guidance on voluntary labels that could outlaw legitimate non-GMO claims and take away states’ right to pass laws for mandatory GMO labels. 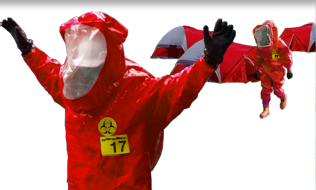 For working with the company on the Monsanto Protection Act, may it rest in peace. 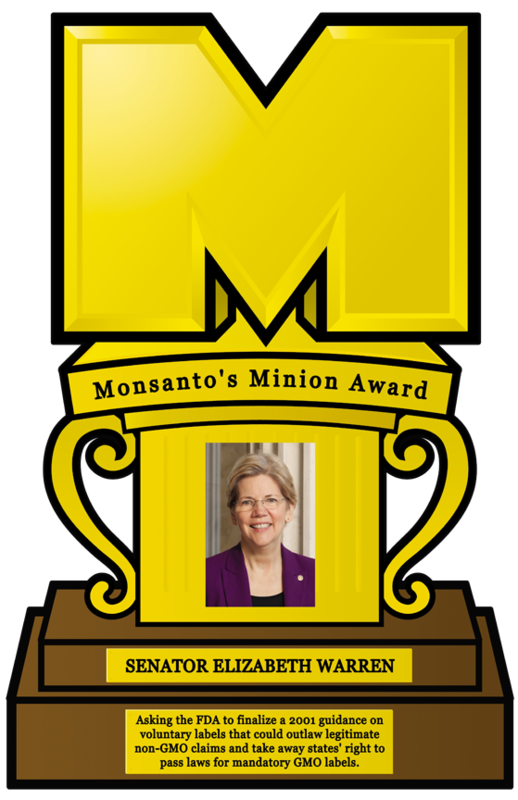 For joining Monsanto’s side to coauthor the letter to the FDA with Warren. 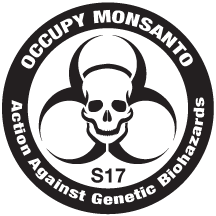 For representing Monsanto in Congress as a shareholder, as well as a recipient of campaign contributions. 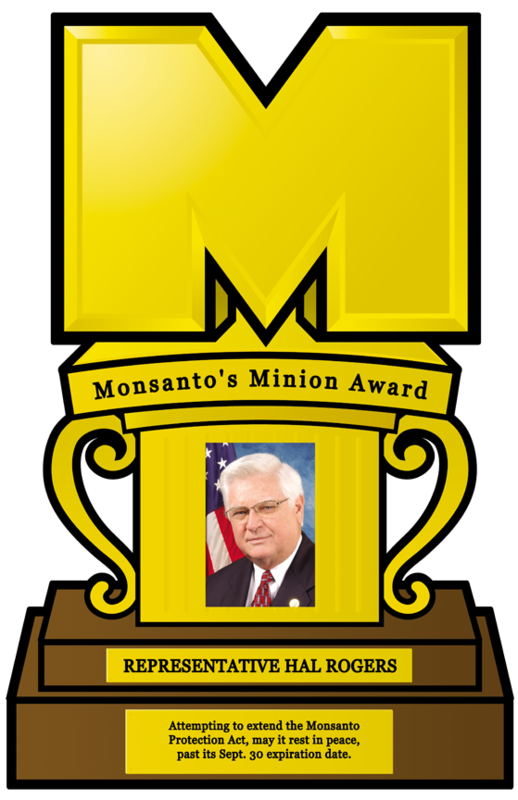 For blocking an amendment to repeal the Monsanto Protection Act, may it rest in peace. 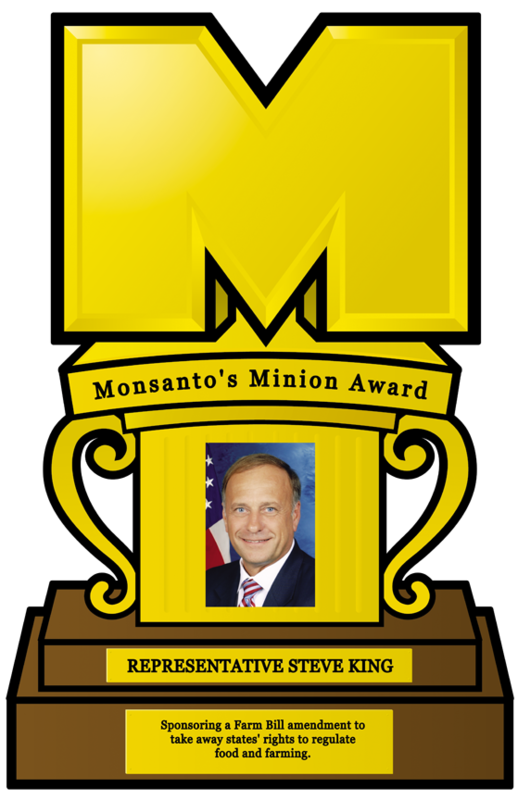 For attempting to extend the Monsanto Protection Act, may it rest in peace, past its Sept. 30 expiration date.